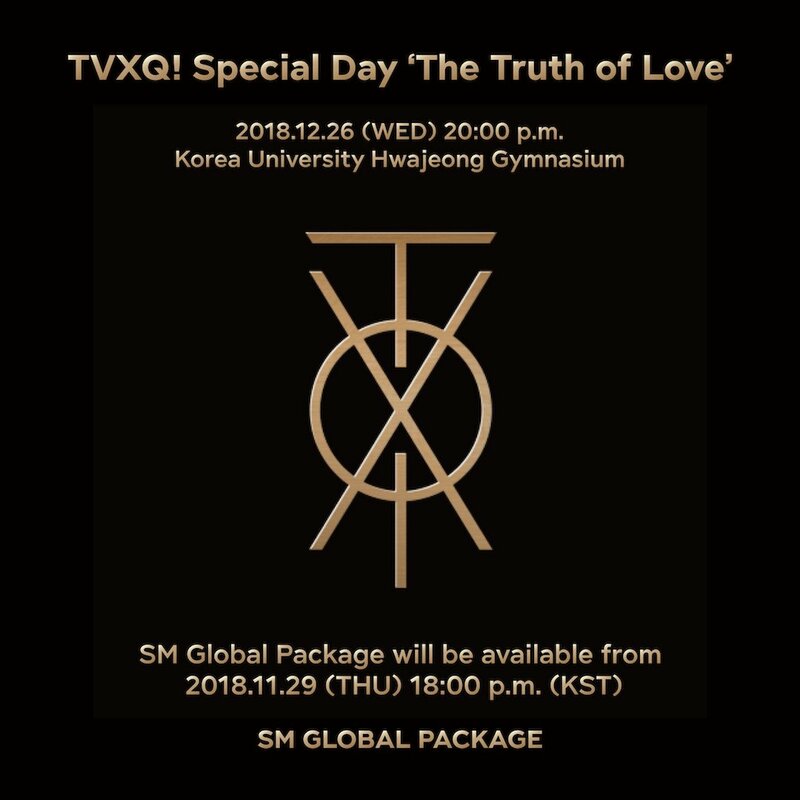 On 181206, 2nd ticket sale for cancelled tickets was announced for the global package on 12/06 at 2PM (already sold out now). The official website also put up notice for a 2nd general ticket sale for cancelled tickets to open today soon at 8PM via Yes24: here. 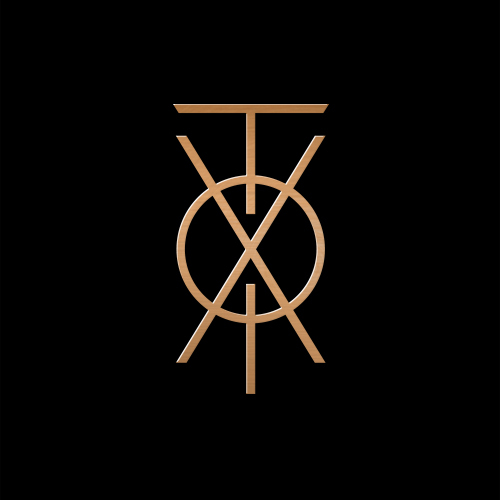 TVXQ will hold a 15th anniversary fanmeeting titled [ TVXQ! 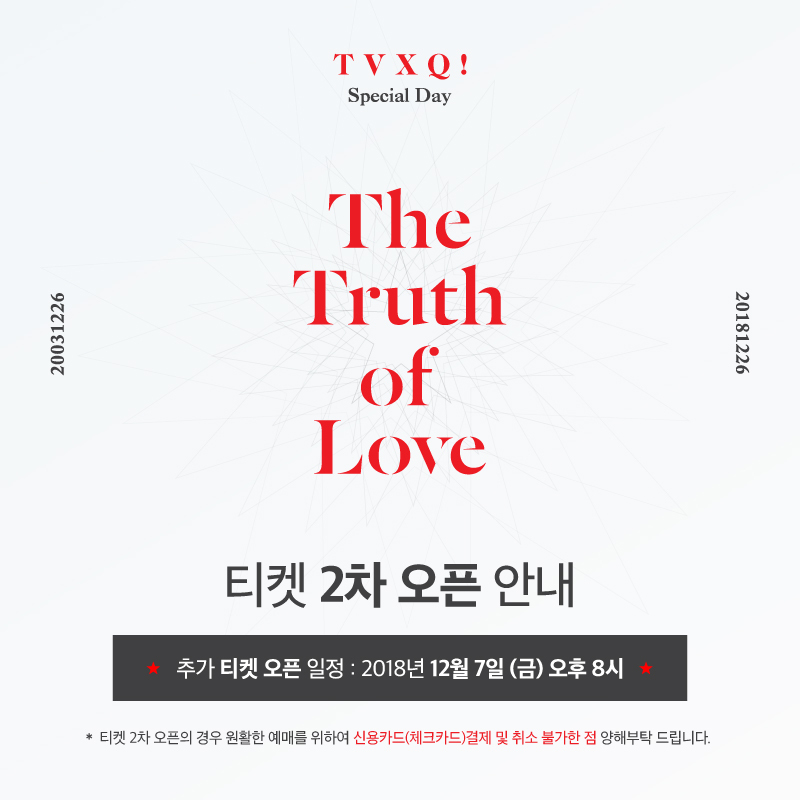 Special Day ‘The Truth of Love’ ] on 12/26 at 8PM in Korea University Tiger Dome. 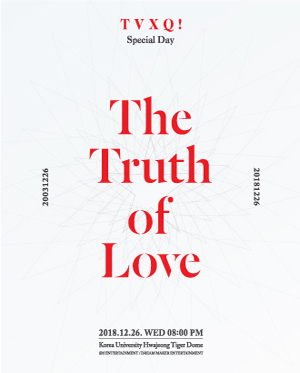 The ticketing started on 12/3 at 8PM KST where Yes24 revealed the seating layout and listed the estimated event time as 100 minutes long! 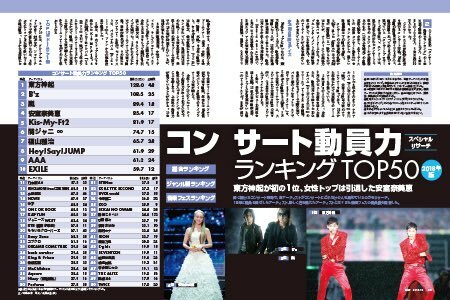 [INFO] 181102 Tohoshinki #東方神起 Tops Concert Mobilisation Power Ranking for 2018 in Japan (All Artists) with 1.28 Million People!! No.1 Tohoshinki with 1.28 million people in 48 shows! !